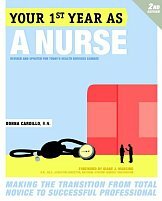 Donna Cardillo, RN, MA, CSP, FAAN​ is The Inspiration Nurse. She travels the world helping women and healthcare professionals to be happy in their lives and careers and to reach their full potential. She does that as a keynote speaker, columnist, author and cut-up. Her accomplished career combines over 25 years of clinical, managerial and business experience, not to mention her stint as a professional singer. Donna's clinical experience includes emergency and psychiatric nursing. Donna holds a diploma in nursing, a BS in Health Care Management and an MA in Corporate and Public Communication. She is an Expert Blogger at DoctorOz.com, the original "Dear Donna" columnist at Nurse.com and former "Healthcare Careers Expert" at Monster.com. Donna has twice been named Business Woman of the Year in New Jersey and has also received the coveted Athena Award, a national leadership award for women. Donna was designated a Diva in Nursing by the Institute for Nursing in NJ for outstanding achievements and excellence in practice. She has also been named one of 50 Best Women in Business by NJBIZ. Donna appears regularly on television and radio, is frequently quoted in newspapers and magazines and has published numerous articles. Donna has appeared on The Dr. Oz Show and the Today show and has been featured in the Los Angeles Times on several occasions. 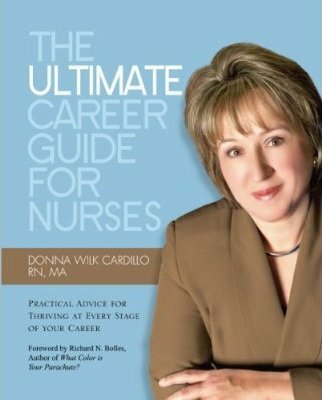 Donna is author of the books, Your First Year as a Nurse: Making the Transition from Total Novice to Successful Professional, The ULTIMATE Career Guide for Nurses: Practical Advice for Thriving at Every Stage of Your Career, A Day Book for Beginning Nurses and Falling Together: How to Find Balance, Joy, and Meaningful Change When Your Life Seems to Be Falling Apart (April 2016). 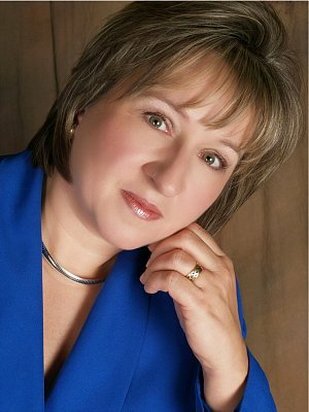 Donna is a founding member and past president of both the New Jersey chapters of both the National Speakers Association (NSA) and the National Association of Women Business Owners (NAWBO). She holds the coveted Certified Speaking Professional (CSP) designation, the highest earned international recognition for professional speakers. This makes her one of only 10% of all speakers to hold this designation and one of only 20 nurses in the world with this credential. ​If you're a member of the human race, you've experienced more than one obstacle, set-back, or otherwise dark time in your life. Perhaps you've had a major life event (illness, divorce, job loss, aging) that has left you feeling disoriented and afraid. Maybe your current circumstances don't stimulate you and you are desperate for a change but don't know what direction to move in. Possibly there's something you really want to do but fear has you frozen in place. This uplifting program will teach you how to develop the energy and the courage to move beyond fear and leave you feeling inspired, empowered and ready for action. Life Transitions: Where Do I Go From Here? Different phases of life bring new challenges and rewards for women. Some life events are anticipated, some unexpected. One thing that remains constant is change. And as the nature of life, family, health and work evolves for each of us, it is vital that we reexamine our goals, our happiness quotient, and even our heart's deepest desires...at any stage of life. Spend a fun-filled session creating a life plan (including a back-up plan) that will keep you energized, engaged, and excited...possibly in a whole new way! This transformational program confronts the inevitability of change in our lives and careers, understanding why we resist change, strategies to embrace change and stay relevant, and how in the end, change will help us to create a vibrant future for ourselves and our profession. Without change there is no growth and if you're not growing you're stagnating! In the hectic, fast-paced, and high-pressure world we live and work in, it's not enough to manage our time; we also have to manage our energy. Energy reserves, depleted by increasing demands, must regularly be replenished. Neglecting this need results in negativity, poor focus, reduced productivity, and ultimately burnout. Join Donna in a refreshing and upbeat program about the whys and hows of renewal, rejuvenation, and energy management guaranteed to make you happier, healthier, more focused, and yes, even more productive! This uplifting program is designed to remind nurses of their own greatness and empower them for future success. It's guaranteed to make nurses feel good and proud about who they are, what they do, and how they contribute to healthcare. Get ready to be pumped up, turned on, and super-charged with Nurse Power! Nursing: The Future is Ours! Nursing and healthcare stand at the precipice of radical change. As such, a unique opportunity presents itself for us to take on a larger and more pivotal role in healthcare beyond anything that most of us could have ever imagined. As this new role takes shape, nurses will need to change their way of seeing themselves, their profession, and their capabilities. It's time to stop whining and start owning our power! Today's nursing leaders are challenged like never before. At the same time they are in a unique position to have greater impact on the future of nursing and of healthcare. So how can you stay inspired and continue to grow and evolve as a leader when chaos reigns, morale is low and change is a constant? Spend a high-content, high-fun hour (or longer) with Nurse.com's Dear Donna and get primed, pumped-up and supercharged for the coming decade!